Featured homepage photo courtesy of ME Photo Design LLC. Carmel photo courtesy of Blue Pear Photography. Seasons 52 photo courtesy of Seasons 52. Coming up is one of the most anticipated family Sundays of the year—Mother’s Day. If you haven’t figured out were to take her—AroundMainLine.com has you covered! Make your mother feel special this year. Mother’s Day: A day to shower Mom with gratitude, affection and molten cheese at The Melting Pot in King of Prussia! Mother’s Day: A day to shower Mom with gratitude, affection and molten cheese! 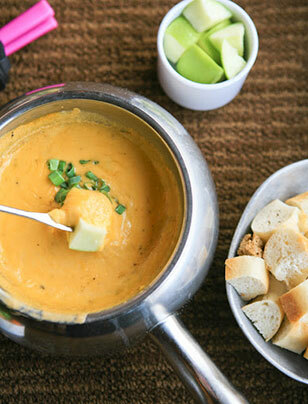 Experience the Fondue Effect at The Melting Pot of King of Prussia this Mother’s Day. The Melting Pot will be opening early for lunch to better accommodate all of their guests. Menu highlights include: Cherry Blossom Salad, Cold Water Lobster Tail, White Chocolate Crème Brulee and more. Click here for additional details on The Melting Pot’s Mother’s Day menu. Featuring the culinary talent of Executive Chef Tony Clark and a Frozen Delights Display, enjoy this Mother’s Day with a memorable brunch at Valley Forge Casino Resort. 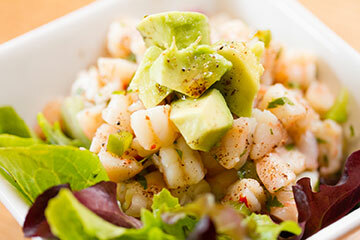 Guests will enjoy several hot and cold buffets and a tapas bar. Click here for full details on the Casino’s Mother’s Day Brunch. Tango is one of the top brunch spots on the Main Line and one of the most popular family traditions each year to treat Mom. They expect to be sold out again for Mother’s Day 2014! Tango’s comprehensive brunch menu includes highlights such as: Eggs Benedict, Buttermilk Pancakes, Breakfast Burrito, Grilled Reuben, Smoked Salmon Sandwich, Fish Tacos, Quesadilla of the Day, Mexican Chicken Spring Rolls, Warm Kale Salad, Brie Salad, Sesame Crusted Seared Red Tuna, Jambalaya, Angel Hair Spicy Shrimp, Wild Mushroom Ravioli and much more! In addition, Tango offers $14 all you can drink (with the purchase of an entrée) mimosas, bellinis, bloody mary’s, red and white sangria. 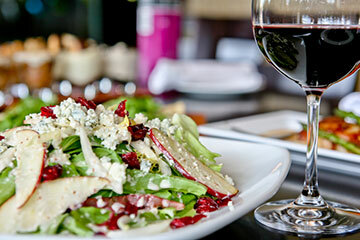 Not to be beat for best outdoor dining this Mother’s Day, Harvest Seasonal Grill and Wine Bar is a local farm focused, seasonally changing restaurant. Not to be beat for best outdoor dining this Mother’s Day, Harvest Seasonal Grill and Wine Bar is a local farm focused, seasonally changing restaurant. Located in Glen Mills, PA in the Glen Eagle shopping center, the popular restaurant offers most items to be less than 500 calories. Harvest specializes in organic wines and beers and offers outdoor seating with a beautiful fountain in their courtyard. Brandywine Prime, set in a renovated 300-year-old inn, offers rustic charm with a contemporary style and casual atmosphere. This Mother’s Day enjoy an upgraded version of their award-winning brunch buffet from 10am to 2pm. Brandywine Prime will serve their regular a la carte dinner menu along with a prix fixe, 3-course special for $29.95. Click here to view Brandywine Prime’s Mother’s Day brunch menu. Click here to view Brandywine Prime’s Mother’s Day dinner menu. All moms that dine at Carmel Café and Wine Bar will be treated to a $10 gift card as a special gift to use at a future visit! Photo courtesy of Blue Pear Photography. Mother’s Day Hours: Open 10am-9pm, accepting reservations. Dinner Menu all day. Carmel Café, one of the Main Line’s freshest faces on the bustling dining scene, is the perfect place to start a family tradition this Mother’s Day. Carmel offers modern Mediterranean dining in an artistic ambiance with a wine list that is a mix of old and new World-with over thirty offerings by the glass. And all moms that dine at Carmel will be given a $10 gift card as a special gift to use at a future visit! Chadwick’s in Audubon is at it again this year with their ‘Best of MontCo Brunch’! Featuring a carving station with chipotle glazed pork loin and peppercorn crusted tenderloin and a fantastic selection of entrees and accompaniments from Chef Matthew Goudreault and his talented culinary team, Chadwick’s is a top choice. Click here and go to the ‘Mother’s Day Buffet’ tab to view the complete Mother’s Day brunch menu at Chadwick’s. One of the burbs most popular choices each Mother’s Day is this King of Prussia staple. Enjoy fresh spring cuisine at King of Prussia’s Seasons 52 this Mother’s Day including herb-marinated, oak grilled rack of lamb with vibrant spring vegetables, Yukon Gold mashed potatoes and shallot jus. Or try their caramelized sea scallops with creamy lemon risotto, English peas and roasted asparagus. Yum!